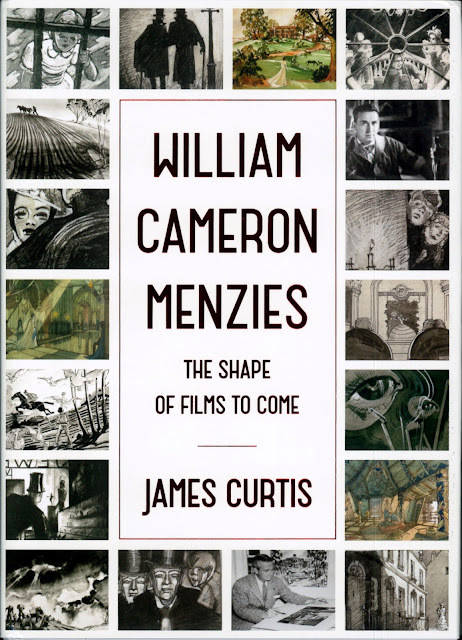 His name in titles was assurance of unforgettable sights ahead, William Cameron Menzies often a truer director of films he designed than those who got official credit. Menzies went by several titles: Art Director, Production Designer, many designations short of the one that applied on all films he oversaw ... Master Visual Stylist, I'd call him. And now James Curtis, previous biographer of W.C. Fields, Spencer Tracy, James Whale, others, tells the William Cameron Menzies story, from silent-era beginnings to final achievement that was Around The World In 80 Days. 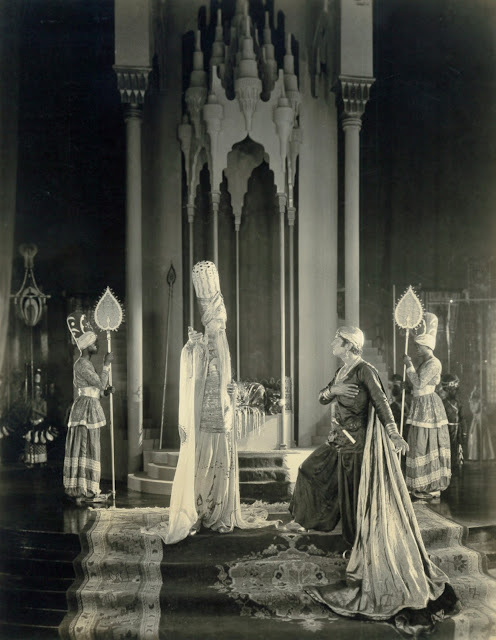 Between those bookends came The Thief Of Bagdad with Fairbanks, work on Barrymore and Valentino specials, Things To Come, then association with Selznick, Hitchcock, many who made classics that might not have been so minus Menzies participation. The book is detailed as to how he did it (Menzies family members cooperated and supplied original art, memos, correspondence). Here is behind-scenes insight we've not had before, and from prospective of a man to whom recognition is long overdue. Curtis shows how Menzies steered Gone With The Wind, Kings Row, so many others, to greatness. If, during his lifetime, he was too often overlooked, here at last Menzies gets full due. Whatever knowledge you have of Classic Era films, Curtis' book will redouble. William Cameron Menzies: The Shape Of Films To Come is available from Amazon on November 17. Thanks. This is one to look forward to.